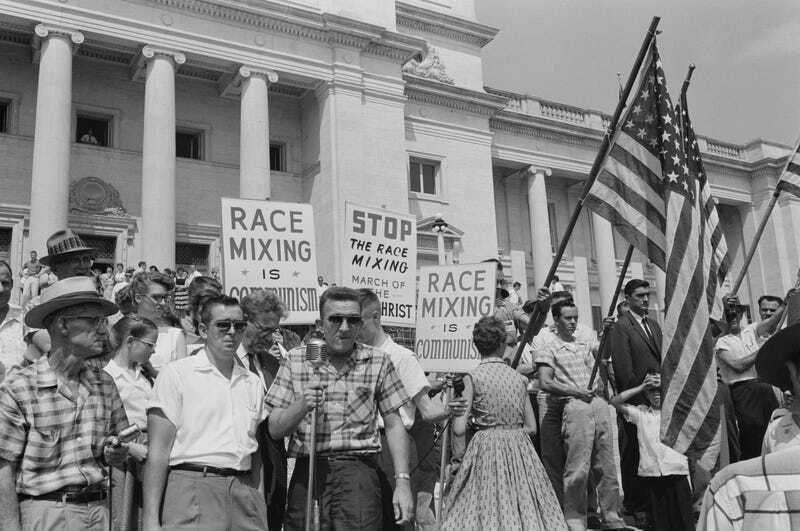 The U.S. has a long history of using pseudoscience to classify people by race. So what happens when we try to use a legitimate science? A new study of a large data sample from personal genomics company 23andme reveals that people's genetic backgrounds have little impact on their racial self-identification. Carl Zimmer has a terrific article on the study over at the New York Times, where he points out that identifying people by race has long been an American obsession. There have been many bizarre laws governing race in U.S. history, including the notorious "one drop" rule, which held that having only one African ancestor made a person black (this idea was written into a lot of U.S. laws during the early twentieth century, and was used to enforce segregation). Interestingly, if the "one drop" rule held today, a lot of people who think of themselves as white would have to change their status. 23andme scientists found that, among other things, "over six million European-Americans have some African ancestry." One has to assume that some of the white people trying to enforce the one drop rule 70 years ago had black ancestry. These broad estimates masked wide variation among individuals. Based on their sample, the resarchers estimated that over six million European-Americans have some African ancestry. As many as five million have genomes that are at least 1 percent Native American in origin. One in five African-Americans, too, has Native American roots. Dr. Mountain and her colleagues also looked at how ancestry might influence ethnic identification. Most Americans with less than 28 percent African-American ancestry say they are white, the researchers found. Above that threshold, people tended to describe themselves as African-American. There are a lot of other fascinating findings in the study, and some revealing geographical differences between the genetic backgrounds of people who identify as black. It's important to be cautious with studies like this, however, because they draw on a data sample that is inherently biased. This wasn't a survey of random Americans; it was a survey of people who paid 23andme to sequence their genomes. So we're not seeing data on people who are too poor to afford a DNA test from 23andme, or who don't care about their genetic ancestry. That said, it still reveals a lot about how racial identity is an ever-shifting cultural and legal idea.